Boise, ID indie rock veterans Built to Spill have been teasing a new LP, their follow-up to 2009's There Is No Enemy, for quite some time. Now, it looks as though they've announced its details. Consequence of Sound points to a post from Jam Bands unveiling the new Built to Spill LP. Assuming the report is accurate, the group are set to return with a 10-song LP called Untethered Moon. The album is said to be arriving in April, though a firm date has yet to be announced. UPDATE: The album's release has been confirmed, and it will be arriving through Warner Bros. 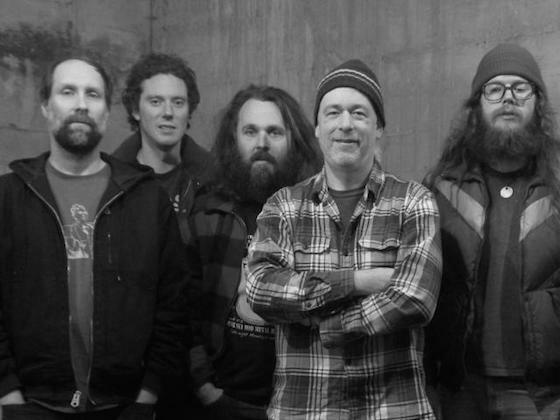 In fact, Built to Spill's social media accounts have yet to announce the LP. Corroborating the evidence, however, is a supposed tracklist and included is "Living Zoo," which has been a live staple from the band for the last few years. Below, watch the band perform "Living Zoo" and check out what just might be the tracklisting for the new Built to Spill album.